Bring the thrills to life as you build your own roller coaster with the K’nex Son of Serpent Coaster! This engineering educational toy consists of 5,500 premium-quality pieces, including plastic rods and connectors that attach to build a customizable roller coaster that can stand up to 5 feet, 7 inches high. 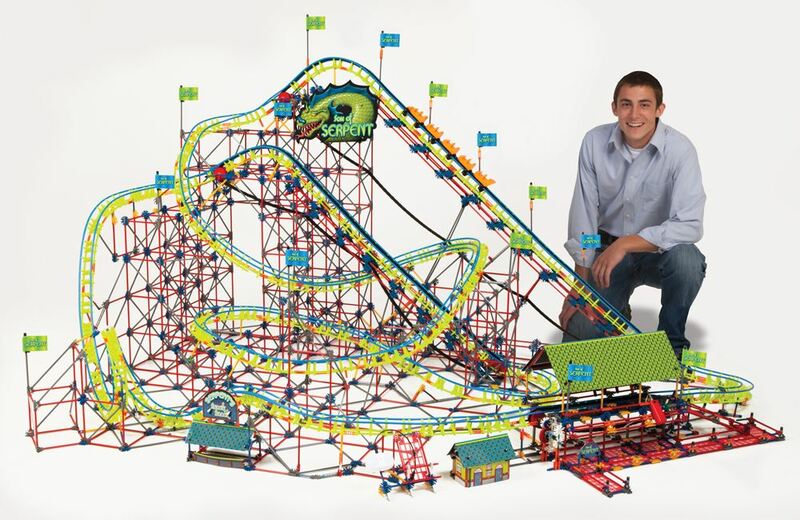 It also includes a 53-foot tube-styled track, five coaster cars, and 14 K’Nex figures. Build a roller coaster ride that actually moves - this set is powered by three chain lifts with a battery-powered motor that gives life and action to the K’Nex pieces. Tune in your favourite sounds white operating this amusement park through the featured speakers. Music player not included. AA & AAA batteries required (not included). Part of the Thrill Rides range. Age 9 + years. Distributed in New Zealand by Holdson.